EXCLUSIVE: ONE of Australia’s leading demographers has tipped massive growth in the number of young couples shifting to the Sunshine Coast to live, work and raise families in the next 20 years. Bernard Salt released his report, The Activated City: Imagining the Sunshine Coast in 2040, in Brisbane recently, unveiling expected growth in both young people and the elderly in the region attracted by its entrepreneurial spirit, “hipster” culture and connectivity. He’s tipped the Coast’s population to grow from about 350,000 today to about 550,000 by 2040 and by the year 2036 Mr Salt forecast the number of Coast children aged between 0-14 to have grown by 27,000. The number of people aged between 30 and 49 is also tipped to swell by 34,000 in the same time frame. 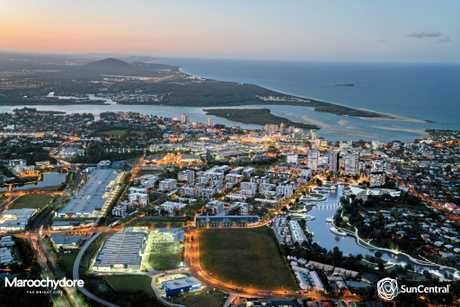 His report indicates there will be strong growth in families in the region, while the number of people in the age brackets 50-64 and 65-74 will grow more slowly than they have in the last 20 years, meaning a positive shift in demographics for The Sunshine Coast. 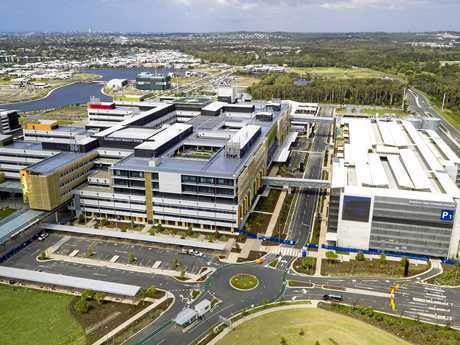 Mr Salt said the growth in “family formation” on the Coast would be driven by thousands of “knowledge worker” jobs in the new Maroochydore CBD and Kawana health precinct. He believed growth in the technology, aviation and renewable energy sectors would also draw more workers to the region and help take the population breakdown closer to that of a typical Australian city. “Instead of gravitating to the Sunshine Coast in retirement, as has been the case for a generation, in the future Aussies will be attracted to the Coast in household formation,” Mr Salt said. Mr Salt said footloose businesses that can operate from any location would be attracted by the technology, lifestyle, cost and connectivity while university-educated millennial’s would team up with second generation CEOs – baby boomers who retired to the Sunshine Coast and kicked off new start-up businesses in the fertile grounds of the region. • An increase in “knowledge workers’” and tech-savvy young people, attracted by higher education expansion and the emergence of new start-ups.